Amazon wants the amount of money that ad buyers would give large cable networks, but not all buyers are convinced. Amazon is planning a vast expansion of its free streaming service on its Fire TV devices and has asked marketers to commit millions of dollars to support new channels and expanded content offerings, multiple people who held discussions with the company told Cheddar. The company has talked to executives at media companies and advertising agencies about its plans to include more ad-supported streaming channels to compete with Roku and Pluto TV, which offer free access to TV shows and movies with commercials. Advertisers are reluctant to pledge millions of dollars before they know what content Amazon would make available on the new channels, sources said. Some buyers said Amazon is asking for as much as a large cable network for advertising commitments. Since contracts for shows and movies to appear on the new services Amazon is planning are still being negotiated, there’s little guaranteed programming to advertise against. Amazon already offers IMDb Freedive, which lets people watch previously released movies like “Blade Runner” and “Legally Blonde,” along with older TV shows like “Heroes” and “Fringe” for free with ads. The expanded content service Amazon is planning will include a news category and other entertainment, but will not include original Amazon Prime programming like “The Marvelous Mrs. Maisel.” Amazon currently plans to keep that content exclusive to paid Prime members. 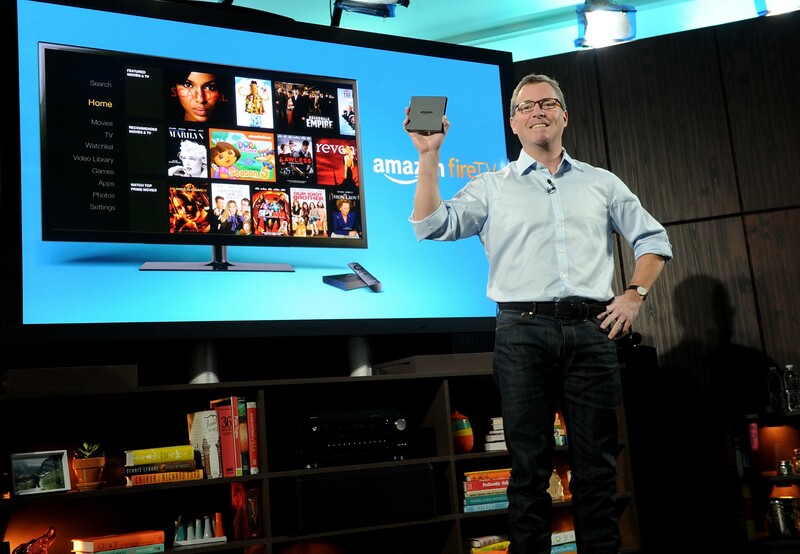 The new content offerings are expected to be available on Fire TV devices in the fall, sources said. Amazon’s plan to add news programming was first reported by The Information. With more than 30 million active users, Fire TV has more registered accounts than Roku, which has 27 million active accounts. (Roku defines an active account as an account which has viewed content over the last 30 days. Amazon has not defined what an active user is.) Amazon is promising first-party aggregated and anonymized sales data for ad targeting, which means marketers can elect to reach a category of people who bought a certain type of product without knowing personal information. It will allow Nielsen measurement verification, according to people who spoke to Amazon about its new services. It’s typical to ask for advertising commitments ahead of a show’s premiere — this typically happens during the programming season’s so-called upfronts, which allow brands to buy commercials on the most promising shows for the coming season. Digital media companies do not usually offer upfront sales because digital content is released throughout the year. However, as more tech companies move into the media space, and they attempt to garner a larger piece of television ad budgets, streaming players like Amazon are offering more upfront opportunities as a way to secure investment. Advertisers spent $69.9 billion on TV advertising in 2018, according to eMarketer. They only spent $7 billion on digital video ads during the first half of 2018, according to the IAB and PWC.